Description: Come along to our Frosty Fun Little Explorer Day for some really COOL fun! Explore how water freezes and what makes ice melt in our Ice Investigation Workshop, build a mini ‘snowman’ and ‘melt’ it into a fizzy puddle, play ‘Snowman Slam,’ search for winter themed objects in a winter wonderland sensory bin and more! Description: Join SANTA’S GREAT BIG PARTY where the man Himself will be hosting an evening of fun, dancing, food and CHRISTMAS CHEER!!! Booking required so choose your evening and follow our link to get your Tickets for the event of the Festive Season! Dress to impress and put on your dancing shoes because our parties are legendary – and this time SANTA is taking part in all the fun! Ever been on the Big Slide with the man in charge of Christmas? NOW’S YOUR CHANCE! Children will get a bag of sweets and balloon from Santa as they leave – so if you’re leaving early let us know and we’ll get you yours! Doors will open at 1720. Adult hot food Menu will be available for purchase during the evening. Children will eat in groups based on time of arrival. Loud music and flashing lights will be part of the event. Time: Various opening times, see link below. Description: Meet Santa in his magical winter wonderland. Enjoy an unforgettable experience for all the family and make sure you’re not on the naughty list with all proceeds going to CLAN Cancer support. Description: Meet Santa in his Wynford Wonderland Grotto! Includes your Santa Experience, Choose your own Toy, Christmas Crafts with our Elves, and Child’s Dual Admission to all of our Indoor &amp; Outdoor FUN! Arrive and present yourself to our Cafe team for our Elves to bring you to his Grotto for 15 minutes of crafts and fun before meeting the man himself! Here at Wynford, we like NO QUEUES CHRISTMAS so that you can ENJOY the festive season with no stress! Arrive on time for your session and we handle all the rest! By appointment only, booking required. Follow the link and buy your tickets now! A minimum of one Adult is required to supervise up to 5 children. Adult Admission cost can be added during the booking process, or paid on the day. Description: Come along and join in the fun at this years Hoodles Christmas Cracker event. Here’s what’s on throughout the weekend…. Lova Rara will be running Princess and Superhero workshops as well as walk about sessions where your little ones can get their picture taken with Frozen Queen, Beauty, Batman and American Captain. Description: Come visit santa and his reindeer at the whitehorse inn. There will also be a craft fayre to pick up any last minute gifts. Description: Join us for a fantastic Coastal Play Christmas Special! £7 per child for 2.5 hours play, including gift from Santa. Must be booked and paid for in advance. Christmas singing on all services, which this year will be steam hauled. Description: Come for a special breakfast at the Hall with festive activities and a visit from Santa who will have a gift for every child. tickets £7.50 for Children. Adults will be able to purchase refreshments on the day. Description: In ancient times, a man named Claus, who delivers toys in his small village, fulfills his destiny to become Santa Claus after meeting an expert toy-making elf, Patch in the North Pole. In the present day, Santa Claus has become overwhelmed by his workload, and the disgruntled Patch flees the workshop to New York City. There, Patch unknowingly threatens the fate of Christmas by taking a job at a failing toy company run by a scheming businessman. You know it isn’t Christmas until you have seen “Santa Claus the Movie” so come along to the music gallery in Fyvie Castle and enjoy a treat for all the family. Doors open at 15.30. Movie starts at 16.00. BOOK online – http://www.geekbothy.co.uk/product/elf-christmas-door-workshop or pop in and see us in the shop. Have you entered our competition over on Facebook yet? Why not check it out and you could be in with a chance of winning £75 of Argos vouchers! Description: Join Santa at Pittodrie Stadium for a children’s festive fun day from 12pm – 2pm in our Richard Donald Stand. Description: An afternoon of carols in the Haddo courtyard. Come and enjoy alcohol free mulled wine, mince pies and seasonal cheer. Sing along to all your favourite Christmas carols – wrap up warm! Description: Free entry annual Christmas Carol singing event. All are welcome and there will be mulled wine and snacks. Description: Inchgarth is hosting it’s fabulous FREE annual Christmas party for all ages which will see us entertained by the excellent Quirky discos, super-heroes, face painters, glitter tattooist, balloon moderlling, cake, snacks, juic, tea/coffee, community stalls. This event is for families, children, the disabled, elderly- for everyone of every age to mingle together and have a right good community christmas party. THERE IS NO NEED TO BOOK – SIMPLY TURN UP. Children MUST be supervised by their parents or legal guardian at all times during the party. It’s going to be fantastic, it’s free, fun and not to be missed!! Description: If you’re expecting a baby, then you need to join us in our pregnancy support group – Bump Club! Our monthly meetings are for both mums and dads to be to come along, meet other expectant parents and prepare for the birth of your baby. Description: A visit to Father Christmas adds that little bit of magic to the festive period. The jolly man himself will be visiting Crathes Castle, Garden & Estate this year with his helpful elves. Visit our 16th Century tower house with your little ones and meet the man himself in the cosy Great Hall. Santa will be sure to reward those who have stayed off the naughty list! Tickets are limited – book your dedicated time slot today! Fancy something extra special? Have a look at our Santa in the Castle experience on Christmas Eve! Description: Jingle Mess, jingle Mess, jingle all the way! Don on your Christmas jumpers and come join the best festive party of the season! Mums, dads, boys and girls, whether you e been naughty or nice this year, everyone can have a jolly messy time with Messy Christmas! Little ones can Mess Around in fun activities such as reindeer dust, brussel sprout rolling and candy cane rice, or get messy with our festive treats such as angel foam, Santa goo and Christmas pud! All you have to do is come along, Mess Around and leave the cleaning up to us!! Tuck shop will be available. December market – last chance for Christmas shopping! Description: December market – last chance for Christmas shopping! 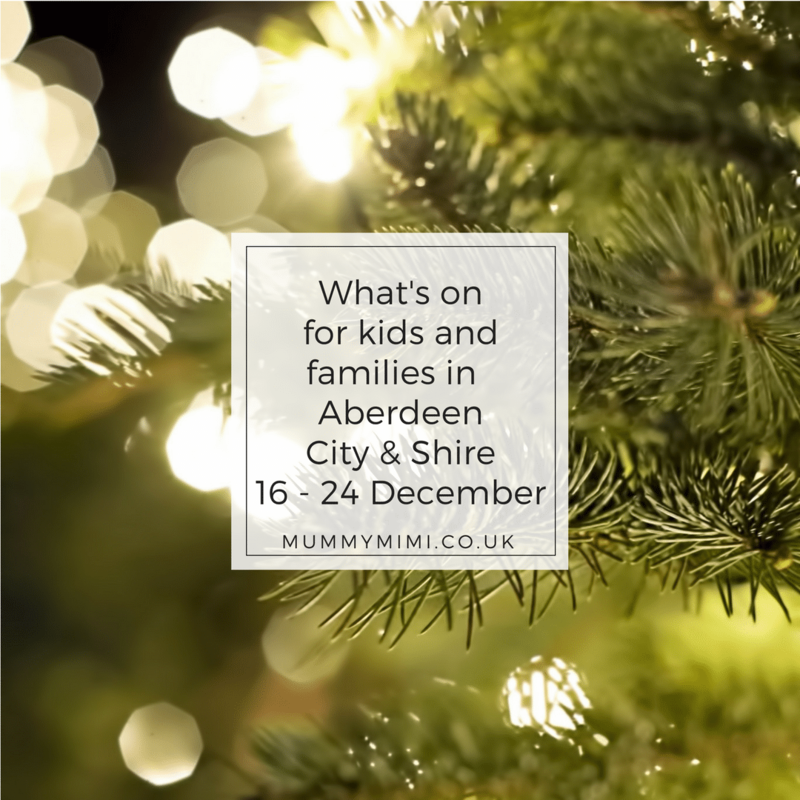 Description: Add a little fizzy and festive fun into the season with Aberdeen Science Centre’s Christmas Party! Come along to join in with our Christmas-themed science activities. Our Christmas elves have prepared presents and wintry snacks so come along and enjoy the fun! We even expect the visit of a surprise guest (ho, ho, ho! ). Suitable for ages 4 – 10.